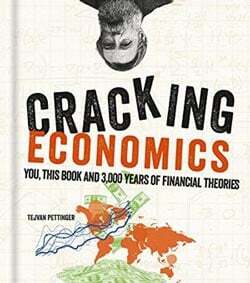 If you are starting an Economics course in October, it is advisable to do some background reading in the subject. If you haven't studied Economics before it is highly advisable to start off with a basic guide to the key terms. Something like Economics for dummies is a good starting point. It is important to be familiar with terms like efficiency, marginal cost, utility e.t.c. I would also advise reading some interesting (non technical) Economics books like the best selling Freakonomics or the Naked Economics by Charles Wheelen. These are not textbooks, but use economic terminology to look at everyday economic issues. Apart from this it is also advisable to read good Economics magazines and newspapers. Just reading the business section of the Times will keep you upto date with the latest economic issues, such as what is likely to happen to inflation and interest rates. If you have studied economics at A Level, then you will be in a good position for your first year. There is quite a good overlap between A-Level and first year Economics. However, you could use it to consider more in depth topics like the Monetarist Keynesian Debate. What would you say are the 'usual' textbooks studied during the first year of a Economics degree? would be good starting points, even though you might use them at A Level. Then there is a whole range of books which might be suggested, best to wait for your university reading list. I'm not going to university to study economics (at least not yet). If those two are good for the first year, what would you recommend for someone who's trying to self-teach themselves up to say..2nd/3rd year standard? I want to get as far along as I can.